Yup, I jumped on the bandwagon. When our huge bottle of All Free & Clear was nearing its end I started looking into recipes for making my own laundry soap. I opted for a powder formula so I wouldn't have to figure out how to store large amounts of liquid detergent. 3. 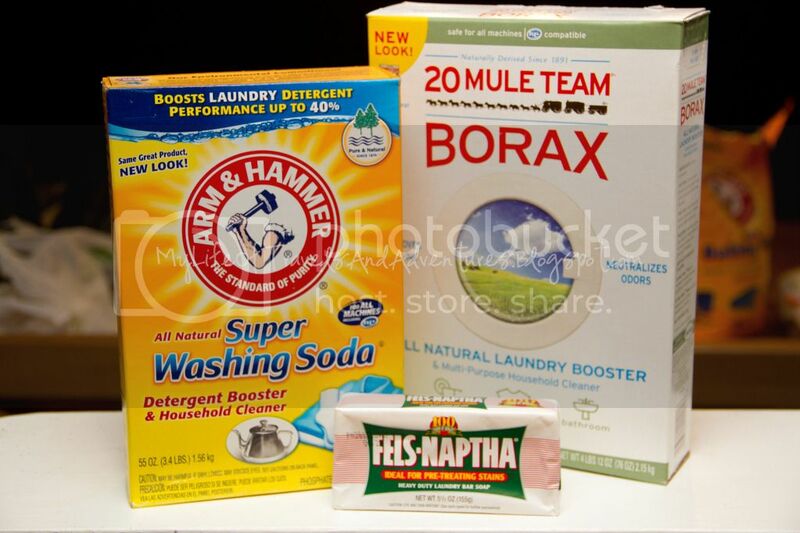 Add the washing soda and borax. Notes: Each batch makes enough for about 40 loads. Each load costs about $0.09. I usually make 5 batches at once and it lasts us several months. 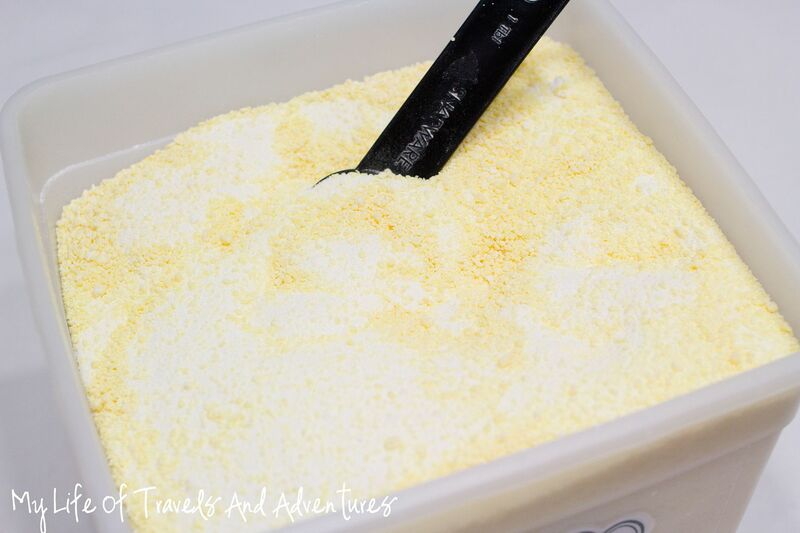 We have been using our homemade laundry soap for a few weeks now. It does the job. Everything comes out clean. It smells nice. What a great idea! Where do you get that Fels-Naptha soap stuff? Walmart carries it right by the other washing products. My sometimes too practical husband got me Borax for one of my gifts one year, and I was like, 'really?' but it turned out to be a great thing. So many uses! Thanks for your share, I'm here from the blog hop and following you on GFC now. I found the Fels-Naptha Soap at our grocery store, in the laundry section. 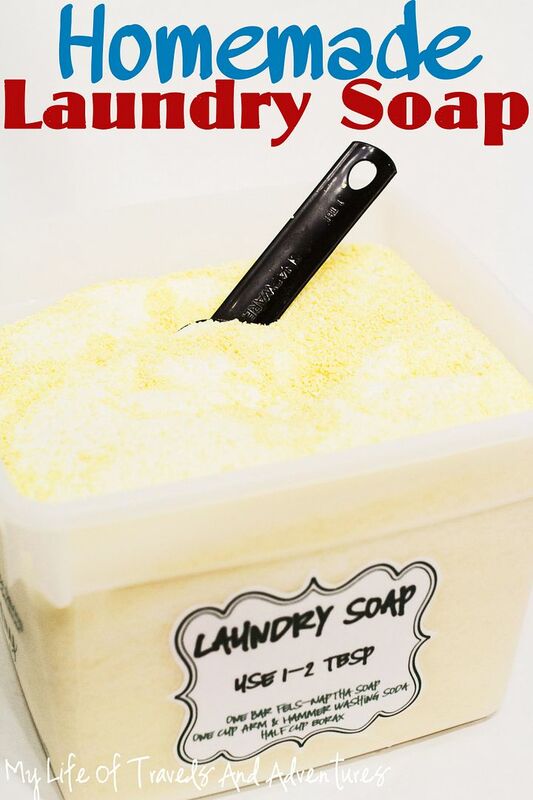 I have been using this recipe for about 5 - 6 months & my clothes have never been cleaner! For the cost of 1 bottle of commercial laundry soap, I can get about 7-8 months of homemade laundry soap...maybe more. After trying & using this recipe on a regular basis, I will NEVER, EVER, go back to commercial laundry detergent again. Said baking baking soda in one place and washing soda in ingredients. Confused. Sorry about that. I fixed the post. It should be made with washing soda. I do. I hand wash everything twice after each batch. My biggest problem is finding Fels-Naptha. I wont make any laundry soap until I find that soap. I have seen it in the soap aisle at Wal-mart, Target, and the grocery store. Online you can find the Fels Naptha Bars on Amazon also. Good to know. Thanks for sharing Ann. Just wondered. Is there any problem with using your kitchen food processor for this or should you have another one that isn't used for food once you've made your laundry powder? I use my kitchen food processor. I wash it all twice by hand after making a batch. How much of the home made mix do you use for one load? Thank you! How to Build Your Breast Milk Freezer Stash?